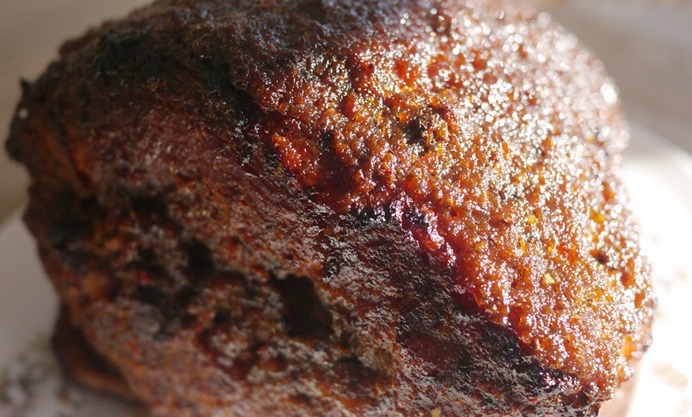 This recipe shows you that gammon isn't only for Christmas. It can be eaten any time of year and is more versatile than you think! Gammon is incredibly versatile. There’s so much more you can do than bung a slice of tinned pineapple on top of a steak. I adore the simplicity of a honey and mustard glazed roast ham served with parsley sauce and new potatoes. 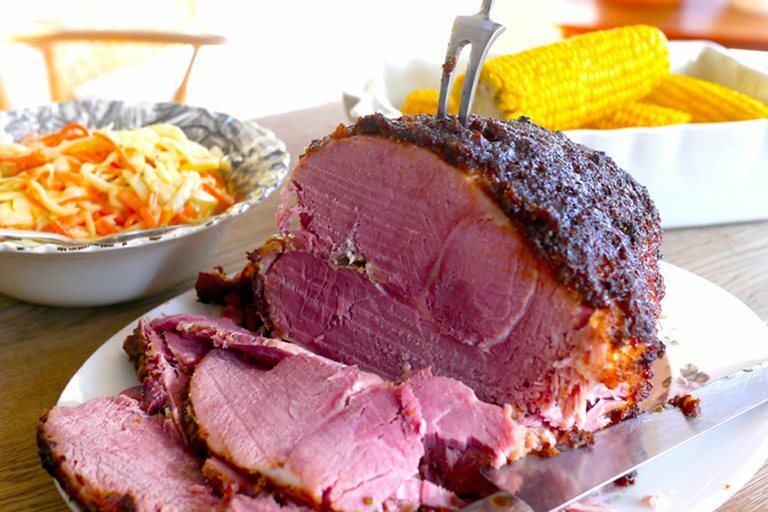 A roast ham makes the perfect centrepiece for a lazy, boozy weekend lunch with friends and, better still, it won’t leave you needing to extend your overdraft to pay for it. Aside from being delicious, gammon is also extremely economical. For around £20 you can have enough ham to feed an army – my £20 4 kilo joint is so much better value than those silly little plastic packets that contain a few paltry slices and cost nearly a fiver. You can cook it and freeze half, or even slice it ready for sarnies and freeze it in batches of a few slices. Just let it defrost in the fridge overnight and packed lunches will be ready and raring to go come morning. As well as fabulous pies or a cheeky midweek supper of ham, egg and chips, it also makes fantastically heady stock to use in soups and sauces. I often glaze mine with maple or marmalade, but this particular joint of gammon was destined for a more aromatic journey. 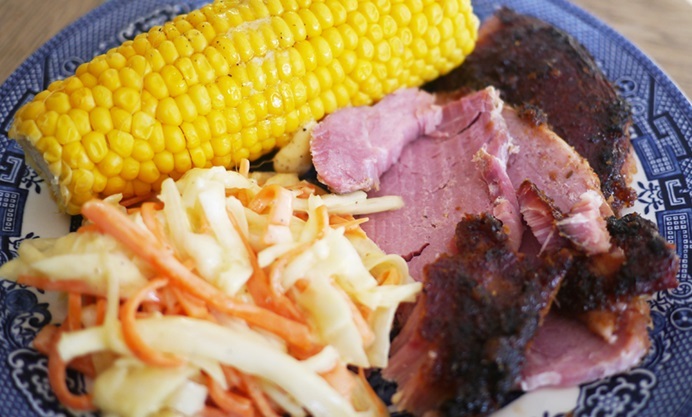 I am a big fan of jerk (chicken, ribs, straight off the spoon…) and love the combination of this sticky, spicy sauce with the salty, oinky and tender gammon. Don’t be scared of the number of scotch bonnets used in my recipe and please don’t be tempted to swap them for the less fiery bog standard red ones found in all supermarkets. Scotch bonnets have a particular fruitiness that makes them an essential ingredient in any jerk. The chillies are not in the least bit overpowering in this marinade. There is a little zing and tingle on your tongue, but it subsides into the other layers of flavour and balances perfectly with the aromatics, zesty lime and sticky sweetness of the sauce. In fact, being a bit of a chilli head, I couldn’t resist reaching for some extra hot pepper sauce on the side. This went down a storm with my family for lunch and I will certainly be making it again. And often!